Since Arteriors inception in 1987, founder Mark Moussa has created a truly unique collection of timeless lighting and modern home decor. 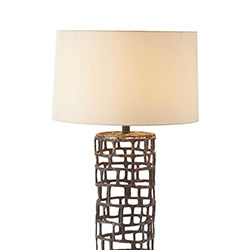 Crafted by skilled artisans and inspired by the original designs ranging from elegant Old World, European antiques to modern classics, each item from Arteriors combines engineering with design and organic elements to develop a collection of home lighting and furnishing items perfect for traditional, transitional or contemporary style. 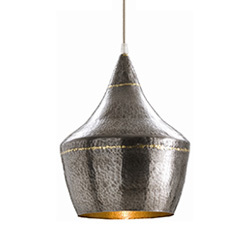 Many of the award-winning pieces from the Arteriors designer line of lighting and home decor feature handcrafted details which translate into finishes that are rich and variable making each piece slightly different. 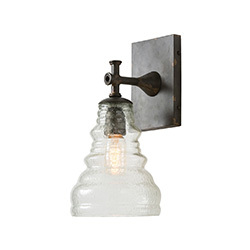 From an antiqued brass patina that’s darker at one end or mouth blown glass, hand etched stripes of different thicknesses, Arteriors marries production techniques with organic materials such as metals, glass, leathers, stone and wood which results in a collection of home lighting and decor specifically for lovers of design or those in search of the perfect statement piece. 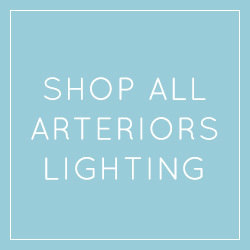 Peace, Love & Decorating is proud to offer the complete line of Arteriors luxury lighting, home furnishings and wall decor with Free Shipping. 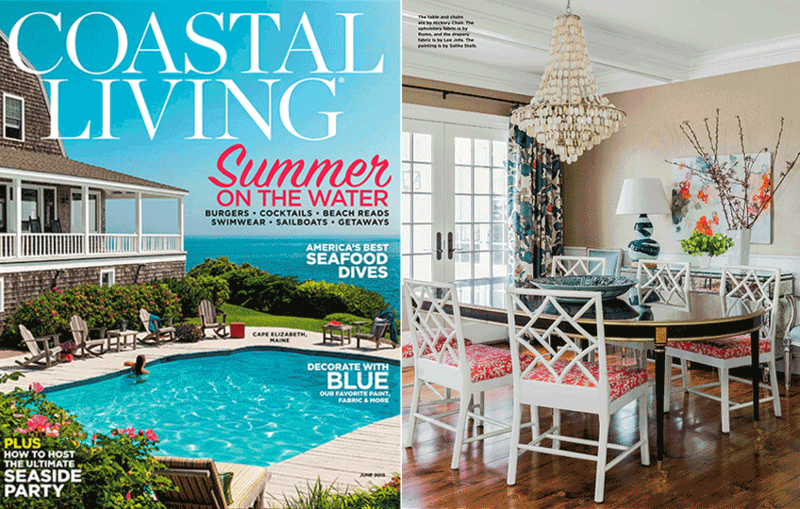 The Arterior's Southampton chandelier is the main attraction over the dining room table of this Northeastern beach home featured in the June 2015 issue. The Southampton chandelier artfully combines modern materials with natural elements to create a beautiful arrangement of smooth, pearly shells strung from an antiqued silver frame. 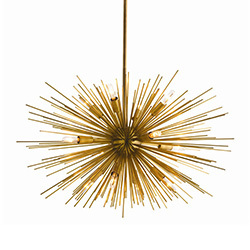 Peace, Love & Decorating offers Free Shipping on Arteriors. 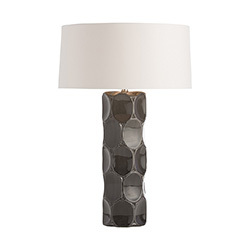 Arteriors orders usually ship within 2-4 business days. Many of the lamps, chandeliers and home decor items can be shipped by UPS while larger items must ship by freight carrier. If an item must be shipped by a freight carrier, you will be contacted by the carrier to set up a delivery time. Due to the craftsmanship and popularity of Arteriors, stock delays do happen from time to time. If your order is delayed for any reason, our customer service department will contact you with additional information. If you need addition information or have stock and/or shipping questions for any Arteriors product, please contact our customer service department by phone (888-808-3267) or email (info@peaceloveanddecorating.com) for additional information. 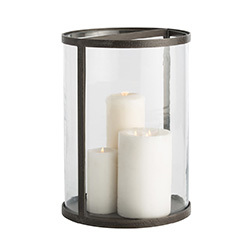 Peace, Love & Decorating is pleased to offer a match guarantee for any promotional or lower price offer on current Arteriors items available for shipment. This offer is in reference to new orders and is not valid on previously placed/filled orders. Additional exclusions may apply. Please contact our customer service department by phone (888-808-3267) or by email (info@peaceloveanddecorating.com) for assistance. 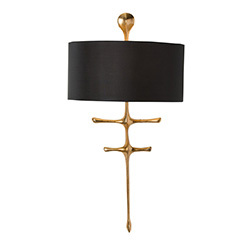 Arteriors purchases are final sale and not available for return.